Big coveys such as this are a common sight at Cameron’s Quail Preserve. We have tried to enhance the quality of birds that are used on the preserve. 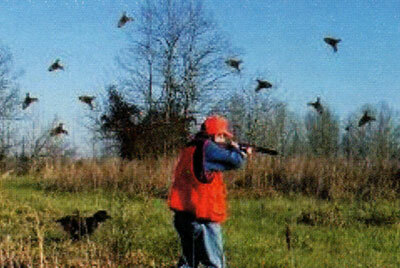 By turning the birds out and working dogs on them daily during the off-season, our birds are flying hard and fast by the time the hunters come in. We believe that keeping strong coveys on the hunting preserve is a must. From Alabama Bass Fishing to Quail Hunting, we believe in keeping things simple. Everything done here is done for quality and competition with the wild birds that the Lord has put on this earth. Quality Alabama Quail Hunting with hard flying coveys for our hunters. 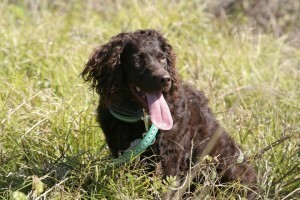 Quality Alabama Dog Training facility and program, featuring the greatest puppy training available. 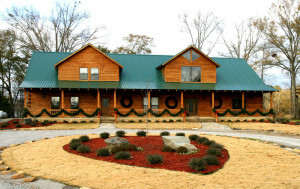 We strive to have a clean comfortable, relaxing home-like lodging with the best southern cooking you can find.